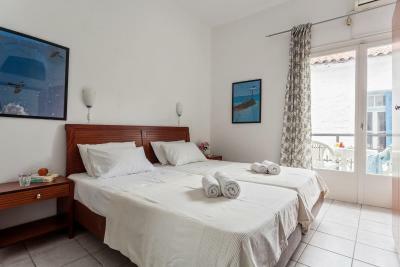 It was close to all the cafe bars... the room was big enough and the balcony was lovely to be able to sit and hear the town at night.. it was helpful to have a main light switch above the bed.. the hotel was kept immaculate and the staff were very friendly. This was a great place to stay, so close to all the restaurants and shops. The place was as described, and check in and check out were very easy. Excellent daily cleaning services, great view and balcony. Close to the town and beach. Good, friendly maid service every day. The view from the balcony. The bed. The women that clean the rooms. I loved the location of the place! The air conditioning was great. Die Lage ist sehr zentral und man kann Fußläufig in der Stadt alles erreichen. Man hatte einen wunderschönen Ausblick auf Skiathos Town. Das Zimmer war klein aber fein. 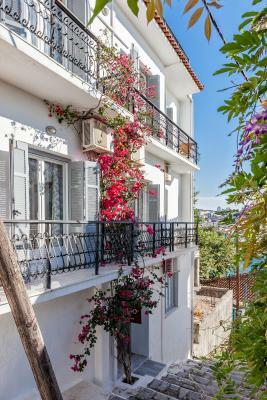 Centrally located in Skiathos Town, just a few steps above the Old Port, Argo Pension offers air-conditioned rooms, studios and apartments with free WiFi access. Plakes Beach is a 3-minute walk. 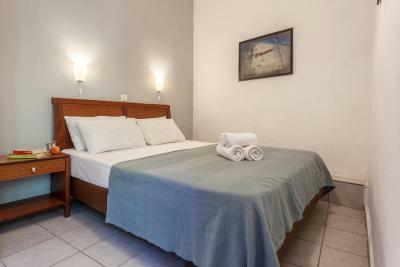 Each room at Pension Argo has a TV and a fridge. 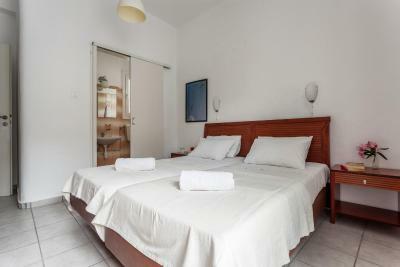 All units include a private bathroom with shower. 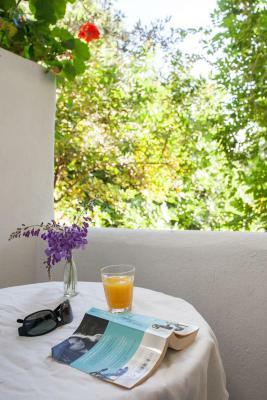 Guests have free access to the top-floor terrace that has seating space and offers views of the sea and Skiathos Town. Greek taverns with traditional dishes, bars and shops are within 150 feet from the hotel. Staff at the tour desk can offer information on nearby beaches such as Koukounaries at 8.1 mi. Skiathos Airport is less than 1.2 mi away. When would you like to stay at Argo? Opening to a balcony with port views, this air-conditioned room offers a TV, a fridge and a shower. Air-conditioned room with a TV and a shower. This studio opens to a sea-view balcony, air conditioning, TV and shower. 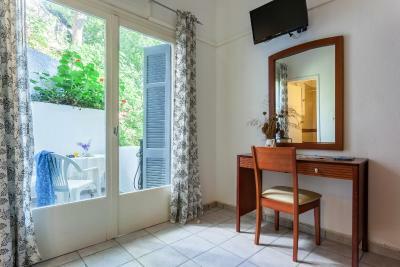 Opening to a sea-view terrace, this studio features air conditioning, a TV and a shower. 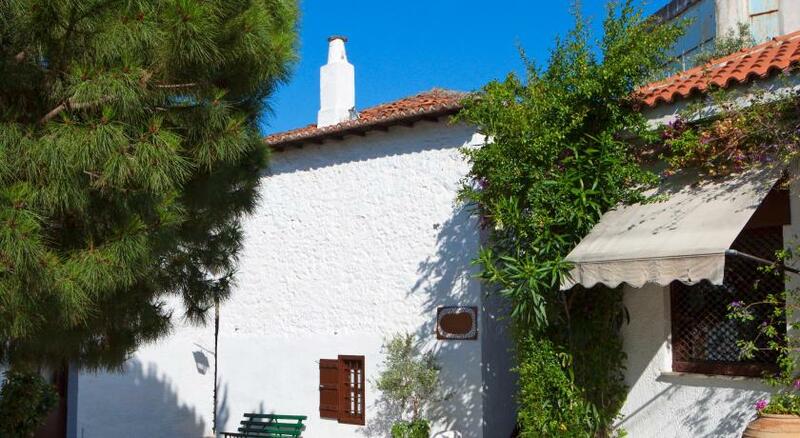 This air-conditioned apartment features a balcony, a well-equipped kitchenette and a TV. House Rules Argo takes special requests – add in the next step! Argo accepts these cards and reserves the right to temporarily hold an amount prior to arrival. Please note that the pension is not suitable for disabled or elderly guests. Please note that guests have to climb some stairs in order to reach the property. Please note that guests have access to the top-floor terrace from 09:00 until 16:00. Please note that check-in and key collection take place at: Heliotropio Office, on the port, ground floor of Hotel Akti, Σκιάθος 37002. Please inform Argo of your expected arrival time in advance. You can use the Special Requests box when booking, or contact the property directly using the contact details in your confirmation. A firm, wire frame constructed mattresses of a 1970's Design and comfort philosophy. Attenuation of Double Glazing unable to cope with a 24" Base Reflex Speaker at 100 metres from source origin at 0430 hours. Ceiling installation and decorating carried out by Bodge-it & Scarper. 60 litre capacity hot water tank, ok for a solo traveler, Hot shower duration 2 minutes. Second individual will need to factor reheat capacity prior to proceeding. Very small room and bathroom also. It’s only for one person. The towels had stains on them and also toilet paper was not replaced nearly as often as required! Wifi was poor. 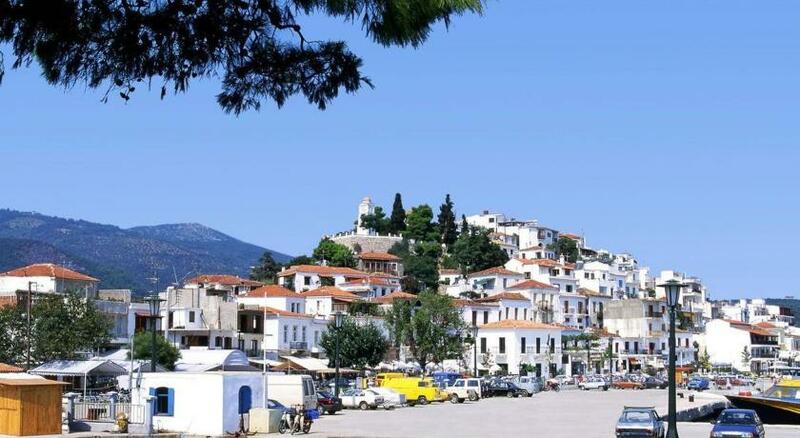 Great location for Skiathos town however, every! night there was VERY! loud continuos booming music coming up from the bars below. We enjoy a night out and good music, but were unable to get any real sleep as this went on until at least 4am - not Argo's fault obviously but did have an impact on the enjoyment of our holiday. Noise from the local bars kept us up all night. The transfer to the accommodation is harsh... be warned! Expect a climb of at least 30 steep cobble stone steps PLUS a further 20 steps inside the property. Unless you're travelling with a small back pack I would not recommend this accommodation. The hotel offers NO assistance and will not allow early check in so you will need to wait for 2pm (sun and heat in full blast) to make your ascent! Firstly, we were misguided by the description of location and accessibility: we had to walk 15 min and climb the stairs (a lot) to get there with two 20 kilos bags. Secondly, the noise during the night (nightclub) did not let us sleep even with earplugs! Let me start off with the fact that throughout the night till 5 AM there is music that is blasted from the nearby bars, but this we knew ahead. The only service person that you will ever meet is the cleaning lady, who is nice, she can not deal with any logistical issues involving the rooms. The wifi is horrible, it is as if it does not exist and should not be advertised a functioning in any meaning of the word. The biggest issue was the rude service manager I've even spoken to. On Booking.com the description says "free access to the rooftop terracce" and on the door on Argo it said that after 23:00 you should be quite if using the terracce. The first 5 days we used the terracce and we loved the view. The 6th night the door was locked and we called the manager. He told us the policy was that the terracce was only to be used between 9 in the morning and 16:00. We told him what it said on the door and Booking.com, but instead of apologizing and come with a solution, he started being really rude. Laughed at us, when we told him that a big part of us choosing Argo was the fact of free rooftop access. Terribly rude manager, who absolutely has no idea about how to treat guests. Also the fact that you need to first go to the harbor office get the keys (and was actually told that the rooms weren't ready) and then go by foot without getting guidance from the guy at the office (maybe the manager). 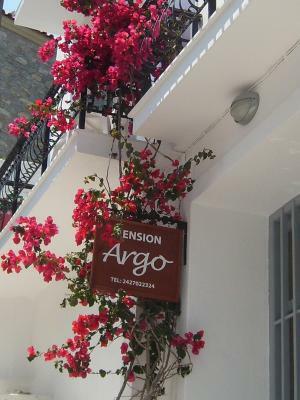 In conclusion under no circumstance I would recommend anyone who is staying in Skiathos to choose Argo Pension. Old, dirty, small room, location with so many stairs and no reception!! !Big sign on the wall "If you lost anything we have no responsibility "Stay Away!!! It was small. balcony was small. no kitchenette. Clubmusic in the night.